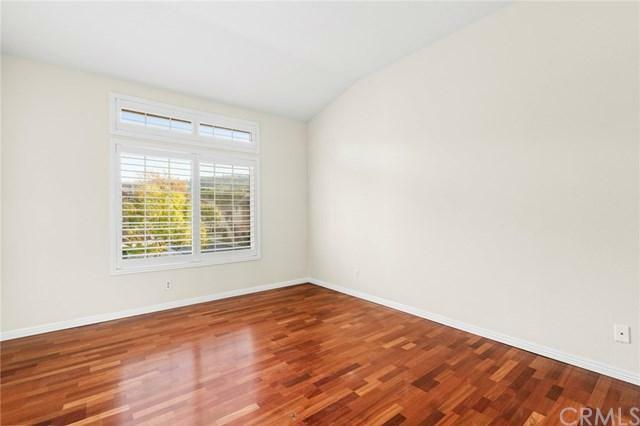 Welcome to this light and bright Laurelwood SINGLE level upper unit that offers distant hills views and an ideal interior location. 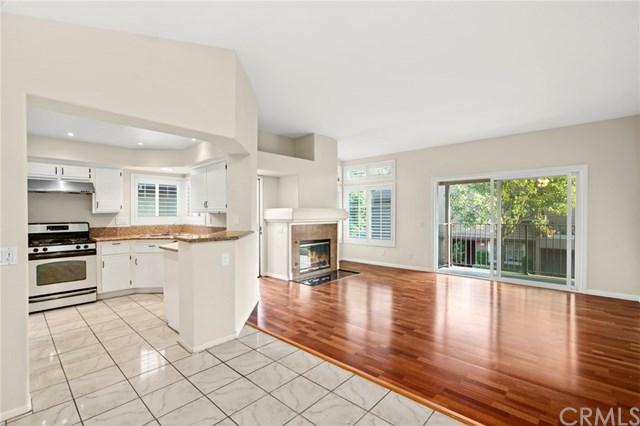 Brand new paint & carpet complete this most inviting and desirable home just for you. 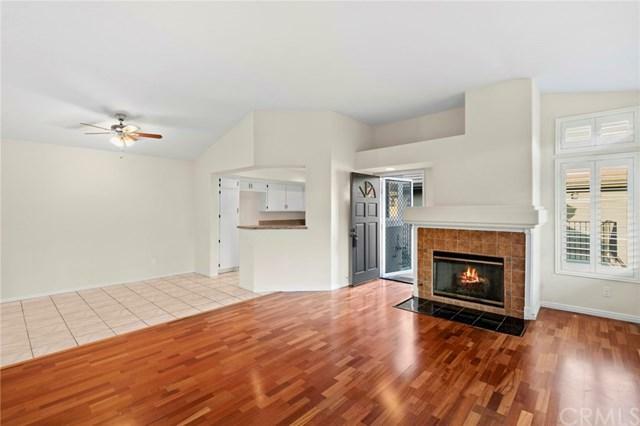 Warmly stained wood laminate flooring is complemented by the cozy fireplace in the living room. Plus an expansive open deck expands the usability of this entertaining area, ideal for BBQ, sun-soaked days or starry night enjoyment. 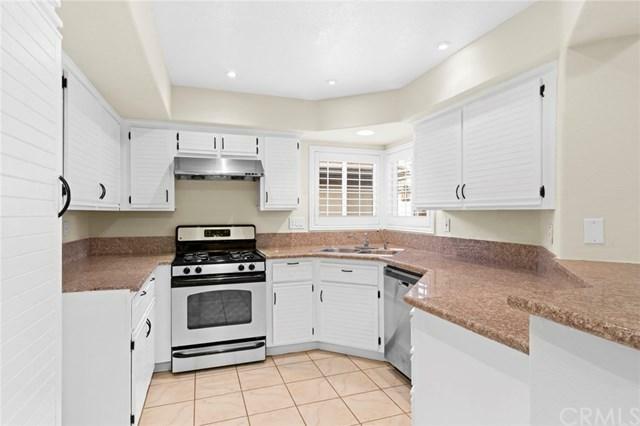 Kitchen is complete with granite countertops, white cabinetry, and stainless corner sink. Formal dining lies adjacent, and is illuminated by a new ceiling fixture. Master bedroom offers two separate closets finished with mirrored wardrobe doors, single vanity, indirect lighting & skylight that brightens the area. A second bedroom, full hall bath with brand new vanity & mirror plus additional linen storage off hallway. Rich plantation shutters finish most windows. Your two-car garage with workbench and plentiful storage is below. Community amenities are nearby with two separate pools, strolling paths & more. Desirably situated near your favorite restaurants, shopping & easy freeway access. Sold by Kevin Avery of Luxre Realty, Inc..